In this tutorial we will use Cinema 4D to create a Static Mesh for Unreal Tournament 2003+, texture it and import it into UnrealEd. Software needed: Cinema 4D, the free ASE Plugin for C4D (which you can download here) and of course Unreal Tournament 2003/2004. Extract the Plugin into C4D's "Plugins"-Folder and start Cinema 4D. First we'll make C4D ready for snapping: Go to Snap Settings -> World Grid, and set Grid Spacing to 16 and Major Lines every nth to 8. Now between two lines of your grid there are 16 Units and between every two major lines there are 128 Units. (Caution: You might want to set dynamic grid to None. The problem with it is that it can't be set to a power of 2. And if you set it to 10 and zoom out or in, the major lines will no longer be correct. If you don't want to turn it off, set it to 1..2..5..10 - this way at least the first zoom-step in either direction will still be correct...) Change to the Options tab and make sure Grid Point and Grid Line are checked. Now Enable Snapping (Above the Options tab) and you're done. Your grid is now ready for point-exact static-mesh-creation. 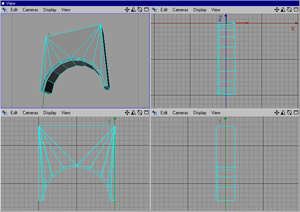 To work with snapping is very important if you want to create several meshes, that align perfectly in UT, or if you want to align static meshes and brushes. I recommend removing (or disabling) the phong Tag of your model, so you can see the polygons more easily. 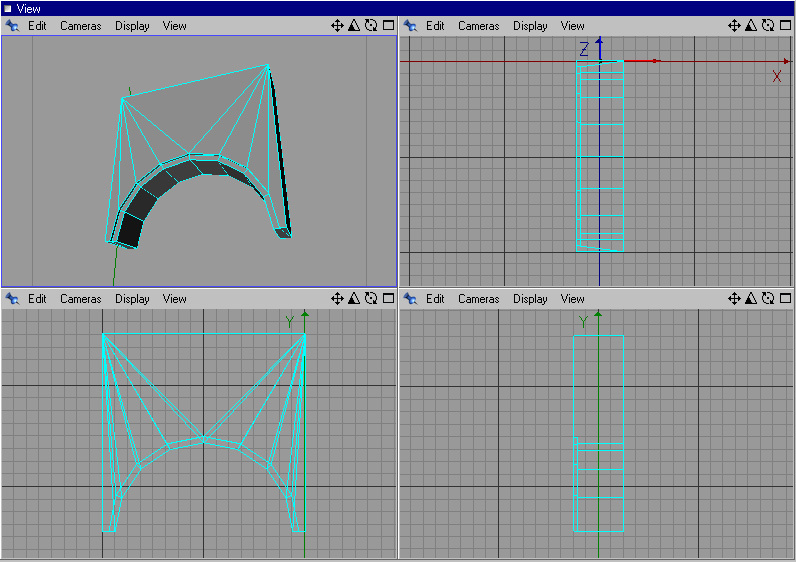 The bow on the left doesn't have smoothing groups, so UT handles it as if all polys were in one big smoothing group. Notice how it trys to smooth all around the object. The bow on the right has the smoothing groups well set (one for the front, one for the top, one for the back, one for the bow, et cetera). So everything looks the way it should. When creating a new Selection, make sure to unselect all the Selection Tags in the Objects Tab, or the active Selection Tag will be overwritten! 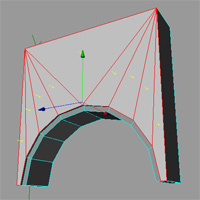 With good smoothing groups the fronts of the two static meshes will look like one flat surface. If your object doesn't already have a UVW-Tag, create one by following these steps: Drop a material on your object and set it's Projection to the method that fits your object best. 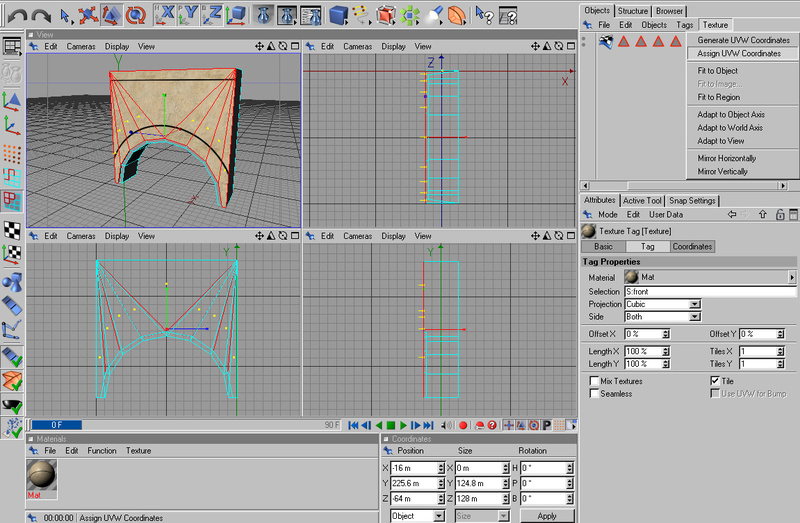 (For the bow I used Cubic and furthermore did a Texture -> Fit to Object) Now select Texture -> Generate UVW Coordinates from the Objects-Tab-Menu. 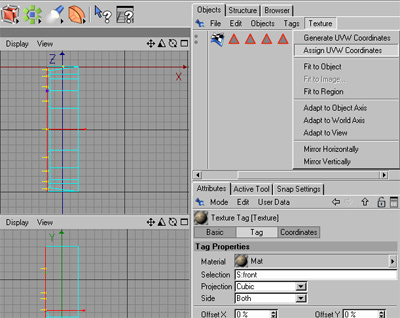 Notice how in the Attributes tab, the Material's Projection changes to UVW Mapping. If your object doesn't have a UVW-Tag UnrealEd will show an Error on importing the ASE, and most likely any applied texture will look wrong. I'll now assign a texture to the front of my bow. I create a new Material with the texture-image in the color-channel, drop it on my object and change the Selection Field of the Texture Tag to T:front. (I also change the name of the Selection Tag from S:front to T:front, since we now want it to be a Smoothing Group and a Material Group in one.) Then I use the Texture Axis Tool to place the Material. (If you want it to be tileable make sure the Texture's position is exact (Texture -> Fit to Object might often help)). Now I switch back to the Polygon Tool, double-click my T:front Selection Tag so the polygon selection becomes active, click on the Material Tag again and choose Texture -> Assign UVW coordinates from the Objects Tab. 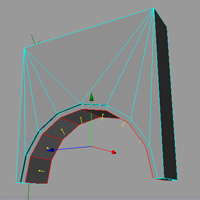 This fixes the placement of the Material on the selected Polygons. Notice that the Texture Tag now shows UVW-Mapping as its Projection Mode. Select File -> Export -> ASE [Cube3D Unreal Export] and save the object to your desired location. The object is here, but the textures are gone. This is because Unreal Tournament can not read Textures that are not in the Texture Browser (by the way: the ASE-Plugin doesn't even save the Texturepath) So what we have to do is to just import the exact same Textures that we used in Cinema 4D to Unreal Tournament and assign them to the object. (You may have to convert your texture to one of the formats UT reads - see next chapter) So why did we even use the Textures in Cinema 4D? We could have left them out completely and could have just created the Polygon Selection Tags, but then we would not have known exactly what it was going to look like - That's why. Upfront there's something very important to say: If your Texture is not in the right size or colormode, UnrealEd will just not import it. (It doesn't even display an error.) So if your import doesn't work, resize your File or change its color settings and try again. - Filesize must be a power-of-two number of pixels across (64x128, 256x256, ...) up to 2048x2048. Don't forget to save your package, or the textures you imported will not be visible ingame. The same goes for your Static Mesh Package! It is possible to use the same Static Mesh with different textures. Place a Static Mesh in your Level, open the Static Mesh Actor Properties and add a new Material under Display -> Skins. 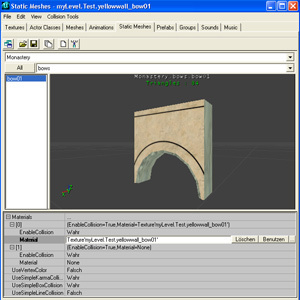 The layers you create here simply override the Materials you assigned in the Static Meshes Browser Window. Valuable resources can be found at beyondunreal, UDN, Maxon, etc.